Bradford pear trees, Pyrus calleryana var. 'Bradford,' are extremely resistant to pests and diseases. More likely to suffer from drought or weak crotch formations, the Bradford pear is quick to grow and quick to spread, leading several geographic locations to label it an invasive species. Despite its hardiness and tolerance, some pests find the tree irresistible. Aphids are small, herbivorous insects of the family Aphidoidea. 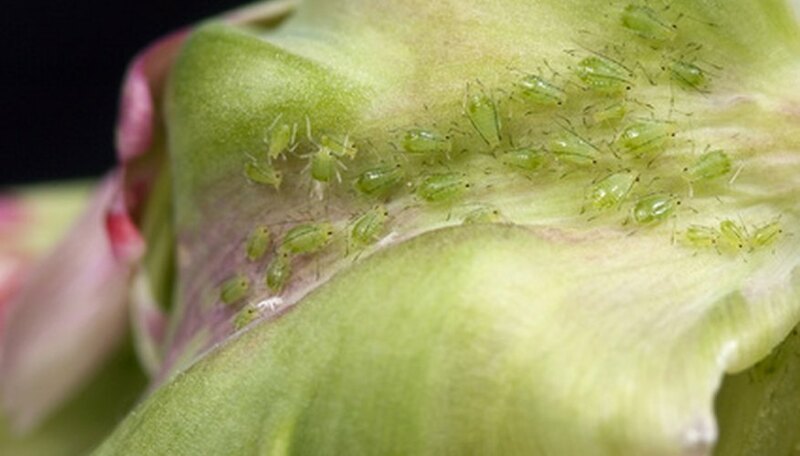 Aphids are soft-bodied, green insects with two antennae and a pair of tubes branching from their abdomens. They feed on the nitrogen and sugars produced by the inner layers of bark of the Bradford pear tree. This feeding hinders the growth of the plant, causing distorted or stunted growth, according to the University of Florida Extension Office. The sap the aphids subsist on contains very little nitrogen, which aphids need to produce proteins. Because of this, they eat copious amounts of tree sap. The excess sugars are excreted in a substance referred to as honeydew. This, in turn, may cause mold to form on the tree. Aphids are controlled by releasing their predators into the area, including ladybugs and wasps. Neem and lantana oils are effective at controlling aphid problems, and there are a variety of chemical applications to rid trees of these pests. The shothole borer, Scolytus rugulosus, is a beetle that eats the bark of the Bradford pear tree. They are tiny insects with black bodies and red legs. They tunnel into the bark of trees, where they lay eggs and overwinter. There is some controversy as to whether shothole borers prefer diseased and ill trees to healthy ones. The North Carolina State University Cooperative Extension Master Gardener Decision Support Guide states that shothole borers are a symptom of an already damaged or dying tree, while the British Columbia Ministry of Agriculture and Lands fact sheet on the shothole borer states that the pests are attracted to healthy trees as well. Control of shothole borers includes pruning away dead branches and bark or intercepting the beetles before they reach the tree. Branches may be coated with a pyrethroid insecticide to kill the shothole borer beetles. The ash whitefly, Siphoninus phillyreae, attacks ornamental fruit trees like the Bradford pear. These pests begin as colonies of larvae, initially appearing as a white, waxen spot on the undersides of leaves. Adult ash whiteflies appear as extremely tiny white, waxy insects with yellow-white wings and red eyes. Ash whiteflies feed on the leaves of the tree, puncturing leaf veins with a spike-like protrusion. This feeding causes leaf wilt and drop. Similar to aphids, ash whiteflies produce honeydew, which may in turn cause more problems for the tree. North Carolina State University says that insecticide use in controlling ash whiteflies is ineffective. Natural control of ash whiteflies using their natural predators, specifically the wasp Encarsia inaron, is preferable. 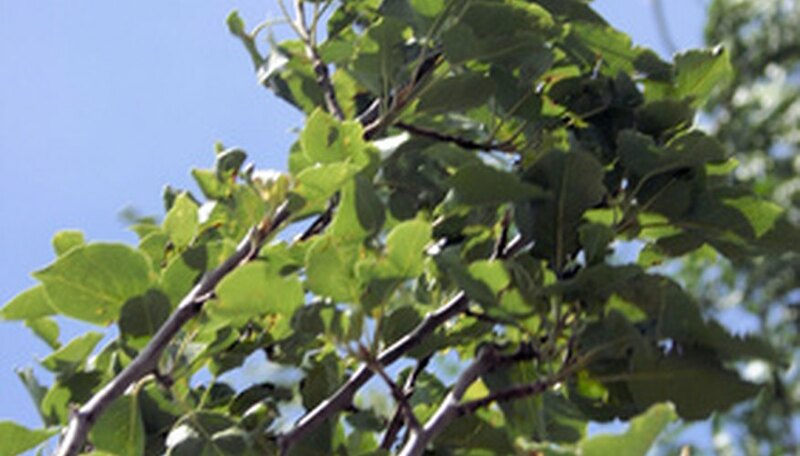 Removing dead, wilted leaves and applying soap are also valid methods of controlling ash whitefly damage to Bradford Pear trees.